Bloom Time and Color: White or near white blooms in late summer to early fall. Description: Alpine strawberry is a low-growing, compact perennial about 10" high with a spread of 8". Flowers are round-petaled in flat clusters on a separate stalk from the leaves. 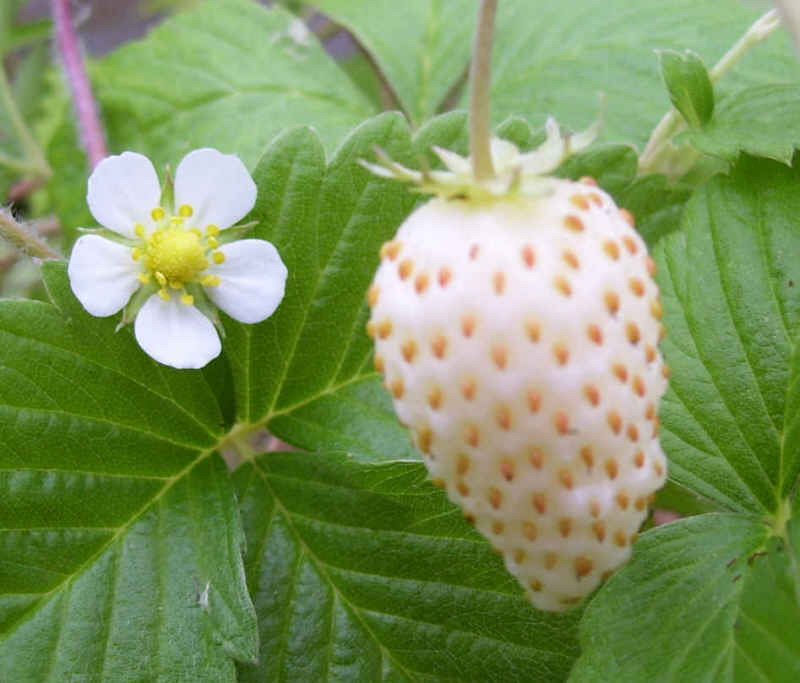 The fruit is a small, white in color, cone-shaped berry studded with tiny, brown seeds. They have a fragrance and taste more delicate than the larger cultivated berries. Alpine strawberries grow quickly and are ever-bearing. Once the fruit appears, the plant will continue to bear all season.